Car(s): Ford Capri 1.6 Laser (project/daily driver) and ford mondeo, because realiability is overated. Just putting the feelers out there, I have been talking to a company that apparently can replicate the laser Seat Fabric but they have to do a chunk of fabric or its prohibitively expensive!! Would people be interested in this? Be great to try and work with the Capri club or others to produce replacement seat outers (like a few other classics have) but I'm probably dreaming out of my station there!! 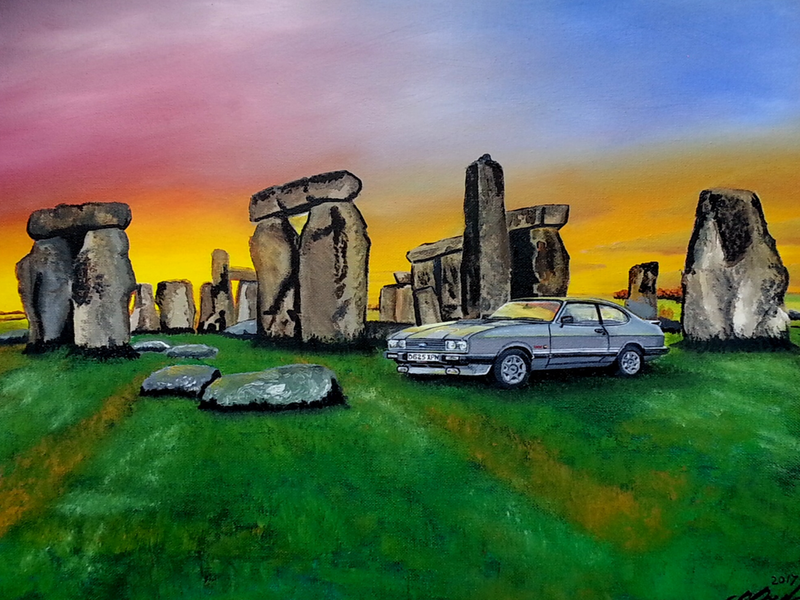 Have a quick look at my Capri's ongoing restoration! You might teach me something! I have a pretty decent full laser interior tucked away in the garage rafters. Don't want to split it but might sell the whole lot. Peter-S wrote: I have a pretty decent full laser interior tucked away in the garage rafters. Don't want to split it but might sell the whole lot. You have my interest if you have a price in mind! Skipped loads myself and seen others chucking away laser seats and door cards back in the day. No-one wanted them. Nowadays gen u win laser interior probably need a mortgage to buy. Wow ! Great you can still get original laser material. Did not know this was still possible. Can I just ask you please whether you can get Grey strobe material like in this pic ??? Think its called grey/silver ??? Do you want the rear seat base that I've got in that material? I'm going to see what Mike can do as it would be great to preserve my seats rather than see another set lost. However that's a pretty keen price so I'll let you know! Peter-S wrote: Do you want the rear seat base that I've got in that material? 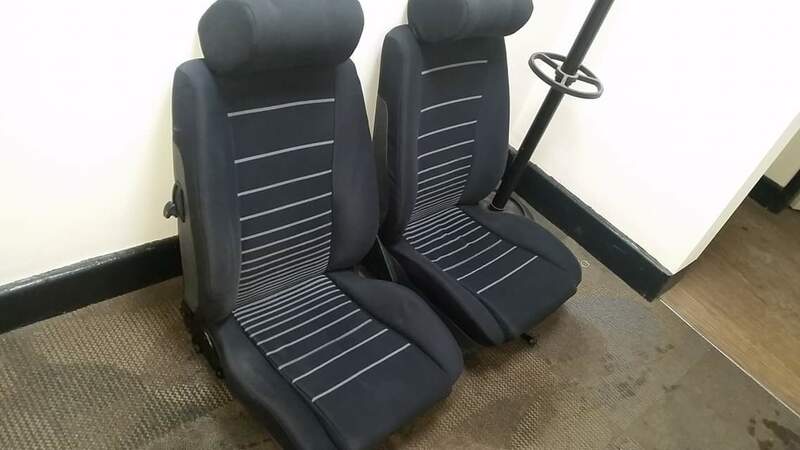 Thanks very much mate but its really the two front seats that i was looking at restoring as they have faded compared to the back seat and door cards. They have not faded that bad but at some stage i want to do something with them as i want to keep them being full 'S' seats. Having said this...... ....the springs in my back seats do seem very 'soft' when i sit on them. Not sure if the springs are just worn or how firm they should actually be but i do sink right into them ?? If your seat base is a better one with good firmer springs and good materisl then yep l i would be intetested to buy it from you mate. Only joking fella. Thank you very much for thinking of me. Really appreciate it. Ok a bit of miss communication, I thought it was the laser interior cloth not the late S type called laser. I can get the plane cloth but the stripe has since run out. turbo-mike wrote: Ok a bit of miss communication, I thought it was the laser interior cloth not the late S type called laser. I can get the plane cloth but the stripe has since run out. ... ... Thanks Dave.....you rotter !! I'm the original poster and am interested in getting my front laser seats done. I presume you are the man that can? Be great to get the car properly sorted and looking factory fresh. I've got a spare rear seat squab to nick material from as well if necessary and I can transport them to wherever you are? Turbo-Mike, The drivers bolster on my laser is worn, just a ball park figure but how much would I be looking at to get a replacement panel ?